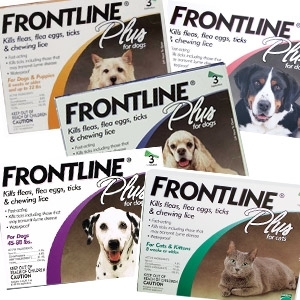 Frontline Plus contains an insect growth regulator, S-methoprene, which kills flea eggs and larvae. It’s effective against all stages of the brown dog tick, the American dog tick, the lone star tick and the deer tick (the major carrier of Lyme disease). All sizes.